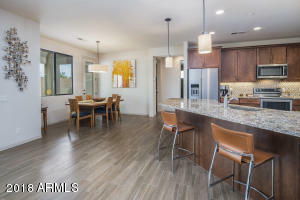 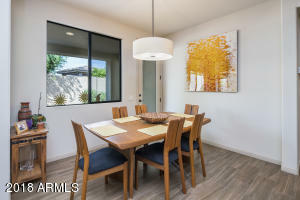 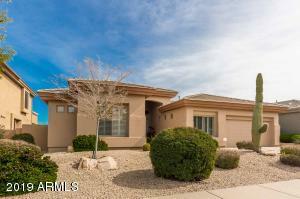 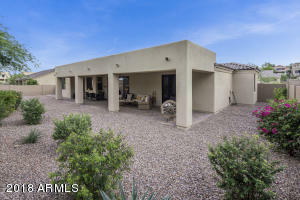 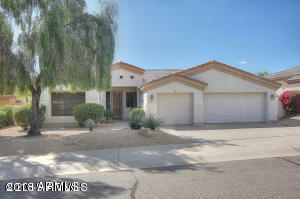 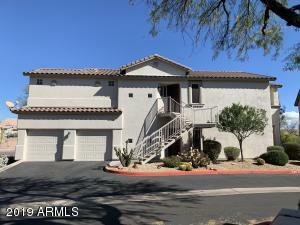 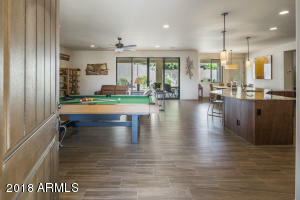 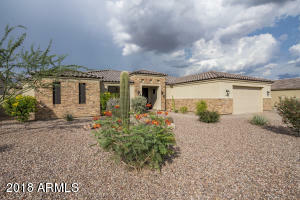 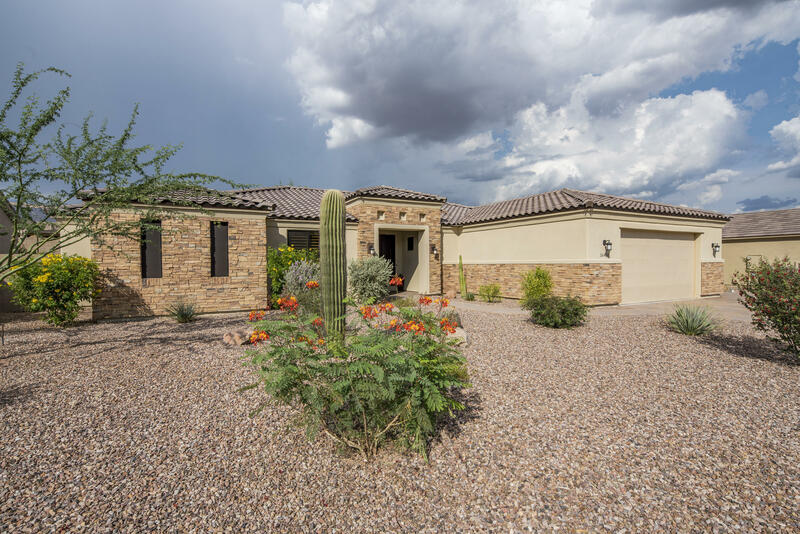 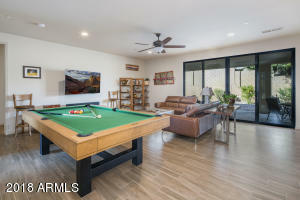 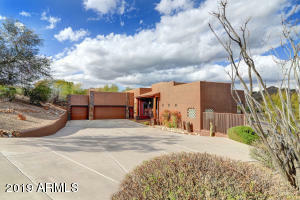 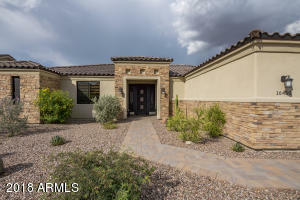 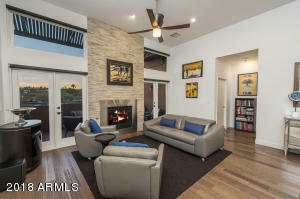 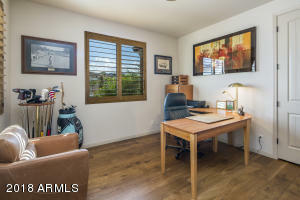 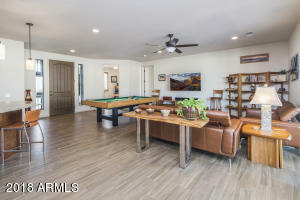 Casual elegance awaits you in this highly upgraded, open, easy flowing, spacious single level jewel of a home located in the heart of downtown Fountain Hills. 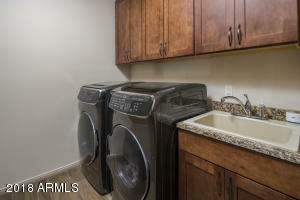 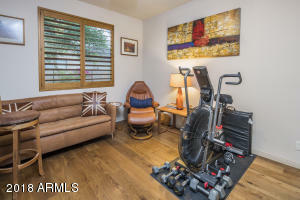 Owner recently added over $45K of tasteful and functional improvements for you to simply move in, put your feet up and enjoy. 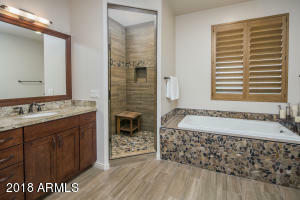 Wood grain tile, & hardwood floors throughout. 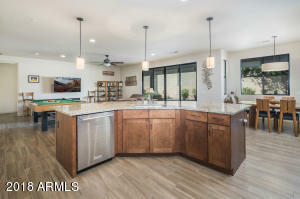 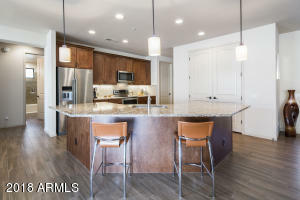 Open concept kitchen w/granite counters, upgraded stainless steel appliances has a huge center island with seating for 4, and plenty of cabinet & pantry space. 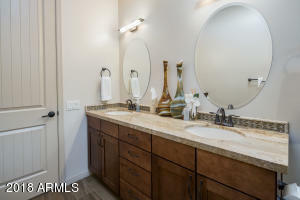 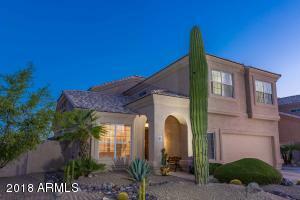 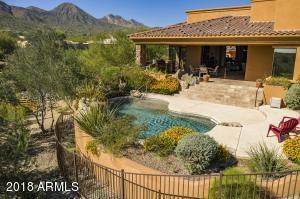 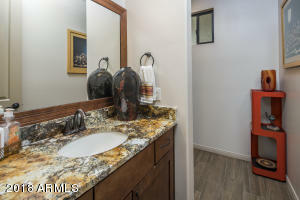 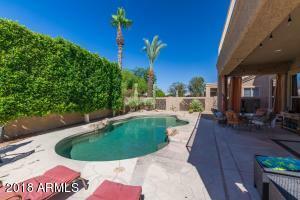 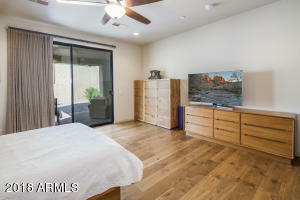 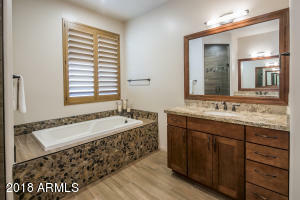 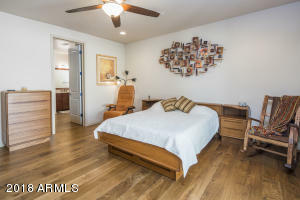 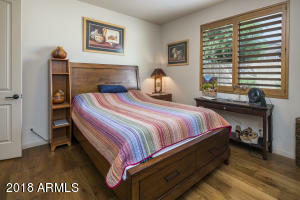 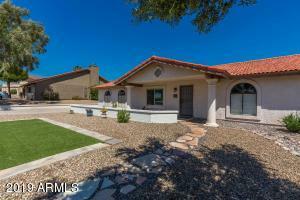 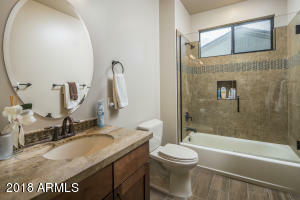 Luxurious & relaxing master suite with spa-like bath, custom tile work and large walk-in closet. 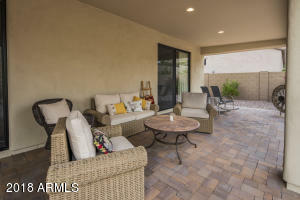 Widened brick paver drive wraps around the house to a large private covered patio. 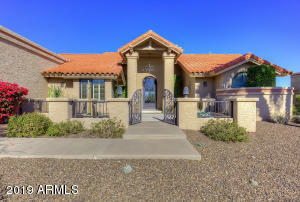 Front exterior wall stone accents, oversized garage with epoxy floor, whole house water filtration system, wood shutters & more. 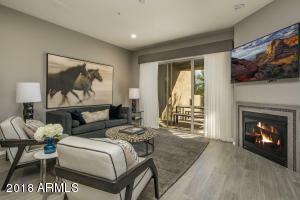 Shea Blvd. 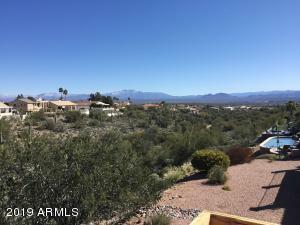 and Fountain Hills Blvd. 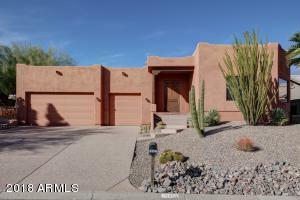 N. on Fountain Hills Blvd to Arroyo Vista Dr. East (right) on Arroyo Vista Dr. to La Montana Dr. North (left) to Los Saguaros Ct. West (left) to home on north side. 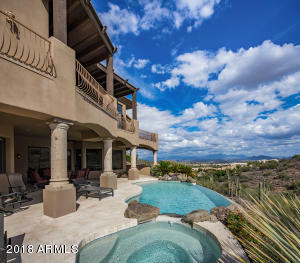 La Montana Dr. & Arroyo Vista Dr.